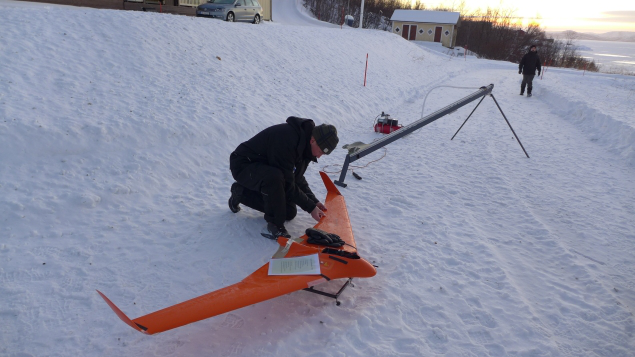 This activity, enabled through a grant by the Canadian Arts Council, had six researchers from the art collective Arctic Perspective visiting Kilpisjärvi Biological Station for a research residency, and hosting a subsequent workshop in Helsinki. The Arctic Perspective Initiative (API) is a non-profit, international group of individuals and organisations, founded by Marko Peljhan and Matthew Biederman, whose goal is to promote the creation of open authoring, communications and dissemination infrastructures for the circumpolar region. Its aim is to work with, learn from, and empower the North and Arctic Peoples through open source technologies and applied education and training. By creating access to these technologies while promoting the creation of shared communications and data networks without costly overheads, continued and sustainable development of autonomous culture, traditional knowledge, science, technology and education opportunities for peoples in the North and Arctic regions is enabled. The workshop was the final component of “The Art of Gathering Environmental Data” event series. The workshop focused on the details of building a hybrid sensor network for harsh environments. During the workshop, 14 participants constructed a simple wireless node for sensing an environmental condition (such as temperature). The nodes were then utilized to create a small, local network to collect data. Using open hardware and the free software codebase that API has created, the workshop concluded with simple geolocalized visualizations using a variety of tools built for this purpose. Tools and frameworks discussed were Arduino, Geopedia, Nunaliit, Remote Sensing and Unmanned Systems, among others, with a particular focus on issues such as ruggedization, calibration, and validation.